With Christmas just around the corner, many a Nintendo gamer is perhaps asking "what should I buy?" Alas, there isn't a whole lot to look forward to in terms of new releases, so in this series we'll be spotlighting a menagerie of quality indie games that have shown up on the eShop over the years. 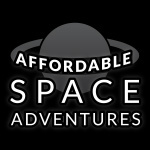 In this edition, Tom Whitehead will be looking at Affordable Space Adventures, a Wii U exclusive. Though there's more to learn about the Nintendo Switch and its capabilities, one thing seems clear - it's stepping away from dual-screen gaming. A concept utilised brilliantly on DS and then 3DS, it's struggled to take off for the Wii U; the system's problems at retail, and developer ambivalence towards the concept (even from Nintendo's own studios, as we saw with Retro Studios and Donkey Kong Country: Tropical Freeze) has seen it mostly sidelined over the past four years. In some respects Nintendo struggled to successfully and fully implement the idea - perfect for handhelds - to the home console space, with the disconnect from GamePad to TV not helping matters. Yet the idea does shine with asynchronous gameplay, where the two screens complement each other while showing different details; that disconnect is actually a benefit in those cases. Brilliantly used - occasionally - in a few multiplayer titles like Nintendo Land, it's an eShop game that perhaps shows the GamePad in its best light for a co-op experience. Affordable Space Adventures is a game that is truly suited for the platform, and should be treasured as it's the kind of gameplay we may not see again for a while. The project was inevitably intriguing due to the creators involved - it was a collaboration between Nifflas (Knytt Underground) and KnapNok Games (Spin the Bottle: Bumpie's Party). The latter had always shown a desire to experiment with the quirky controls on offer with Nintendo hardware, while Nifflas was keen to create experiences unique in the gaming space. 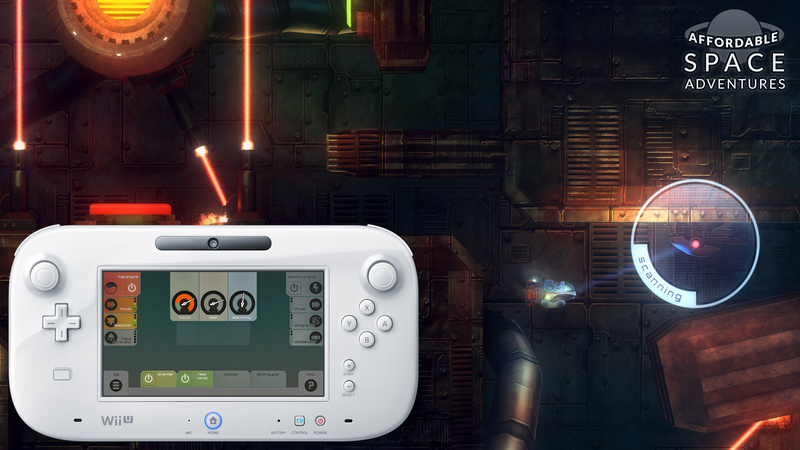 That's the core behind the control scheme at play in Affordable Space Adventures, with the GamePad serving as a control panel for the cute little spaceship on screen. It's perhaps a sad indication of the limited backing for Wii U that Affordable Space Adventures is one of only a few titles to use the controller with imagination. Movement of the ship on screen is simple, as it flies through environments and tries to evade dangerous and mysterious foes. 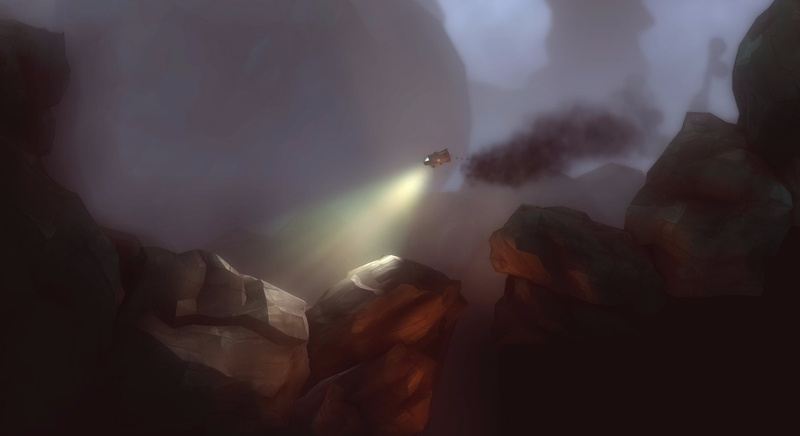 Yet the environmental puzzles require plenty of thought - at different times noise level, engine types and more need to be manipulated in order to make progress. The GamePad shines, then, as it represents an increasingly diverse dashboard in which you manage the minutiae of the ship's systems. For example you may need to raise and then lower its mass to pass silently through a water-filled canyon, or slingshot past a robot by accelerating rapidly and then killing the engine (and its noise) just before passing the foe in question. Each area requires careful progress and meticulous scanning of potential dangers. The strength of Affordable Space Adventures is that the experience changes dramatically depending on your approach. Playing solo is tough but rewarding, as you control everything through the GamePad and multi-task until your head hurts. In co-op it switches up, though, with less experienced players able to control basic movement or even just the ship's light / scanner with Wii Remotes. The 'captain' can control those all-important systems, alternating between engine types and various other methods to work past tough scenarios. It's a simple idea, but importantly it's executed beautifully; as a concept it could have easily been handled poorly. Nifflas and KnapNok Games evidently put their best work forward here, with precise, clever and smart puzzles. Working with another player or two, regardless of each individual's gaming skill, is a rewarding exercise in teamwork and communication. Beyond that, a special mention should go to the presentation. This title is visually enticing, with dark and mysterious alien environments, and a story told in very subtle but meaningful ways - the conclusion is deliciously put together, while also being simple and obvious in hindsight. Sound is another strength, with ambient music deepening the atmosphere. If you're looking for a unique experience that's only truly possible on Wii U, this should be on your radar. With a likely move away from dual-screen gaming in the Switch generation, it's also a reminder of what the Wii U can do when used intelligently. This is a standout eShop game, and ideal for experiencing with family and friends in the Holidays. Want to learn more? Check out this detailed interview with KnapNok Games, which also features links to our review and an interview with Nifflas. ASA was great. I recommend it to anyone who hasn't played it yet. It really showed off how the gamepad could be used in a creative and meaningful way. Excellent article Tom. It was a great read. PS did I enter a competition to win Pokemon gear that a very generous soul donated or am I dreaming it? I can't find anything about it on this site. Good God, this game was awesome. Beautiful environments, fun exploration, and actually made use of the gamepad. A recommendation to all Wii U owners. Really good game. Best time to have bought this, however, was when it was part of the Humble Nintendo Bundle for $1. I must really be in the minority here. I bought this game and played about 3 hours worth with my wife and I was just bored the whole time so we haven't touched it since. Love this game, I remember one night geeking out with three friends and a case of beer. It all got very Star Trek and had the first engineer kept his wits about him longer (beer partly to blame) we could've seen it through. Fantastic fun. And years later... nope, resisting the urge to snark at the title is still hard as ever. @leo13 I'm in the same boat. Played this game for a four hours with my kids and it was excruciatingly boring to all of us. Kept waiting for it to get good but I eventually just deleted it. I really enjoyed this title. It is just not an adreline packed action game, so you shouldn't expect that. Great environments, sound, use of the gamepad and very enjoyable gameplay. You need a fairly big screen, audio up high and dimmed lights to really let it soak you (and partner) up. I remember balking at its initial pricetag. I think it was around £27, which for an indie game is extremely high, especially compared to the price of other games on the eShop and that it's a very short game. You'll have it finished in way less than 10 hours. Even now, it's €19 and while it's very good, it's not AAA. @SLIGEACH_EIRE a second Humble Bundle would be so cool! Got it with the Humble Bundle but haven't touched it. It looks kinda boring to me. @UK-Nintendo The game on its own when it released I think was €27, making its "affordable" title ironic. I too bought the Humble Bundle. If you wanted just this game, it cost a Dollar and you got other games too. I agree, another Humble bundle would be great. If you really liked the game you shouldnt be too proud about not supporting it at all. $1 is fair and legal in the bundle but roughly useless to the developer for that particular game. Support what you want more of is my advice. @SLIGEACH_EIRE yea would love another one. I got the one where they gave super street fighter 3ds, runbow, citizen of earth and other. I don't think I've played any of them really. @leo13 Nope. Me too. I absolutely wanted to love it but couldn't. 3 hours for me also. Got it in the Humble Bumble, played it 3 player for about an hour with my very sci-fi interested kids. We never went back. Shantae was awesome though. We'll except for that ridiculous end tower. I'd recommend Nintendo Selects Lego City Undercover for $20 for getting the most out of the Gamepad. I know it's being ported but I can't see it being as fun or immersion w/o the Gamepad. I spent about 38 hours playing it, I finished the storyline and about half of the never ending supply of side missions. @gamermole The competition was a thing It was stickied to the top of the page for the while, I'm not involved but I'm sure the draw will be soon. @SLIGEACH_EIRE Ah yes, that was a heck of a bundle. @SLIGEACH_EIRE Best would be a Humble Amiibo Bundle. I only came to appreciate what went into ASA after getting it as part of the humble bundle. Fun use of the controls and the subtle underlying narrative were a real treat. I also dropped it after around 3 or 4 hours with my kids and wife. There was this part where we had to drop down a shaft and avoid getting toasted by lasers. If I recall correctly, it involved a series of very precise team coordination of disarming lasers and changing our gravity. It took FOREVER to through that part and I remember we were getting frustrated a lot at one another. No one wanted to play it again after that except me. Now this article makes me want to revisit and see what I missed. I didn't even remember I didn't finish this game. Might have to look into it again soon. I liked it.